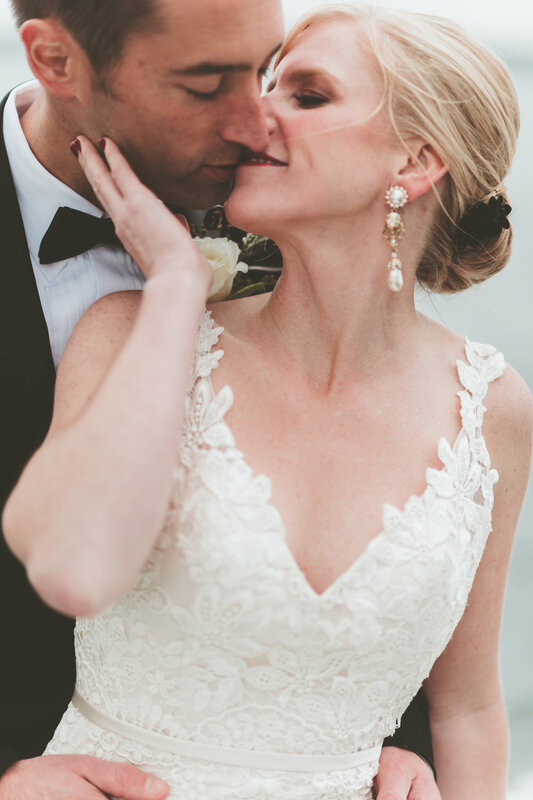 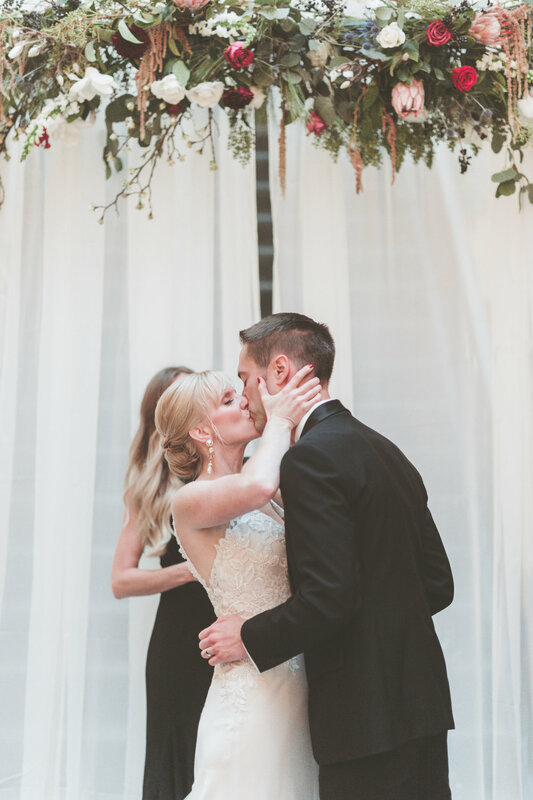 For anyone who has stuck around long enough to learn some of our favorite mantras here at Elevate, you’ll know that we are HUGE proponents of staying true to you, and doing whatever makes most sense to you as a couple, ESPECIALLY when it comes to planning your wedding day! 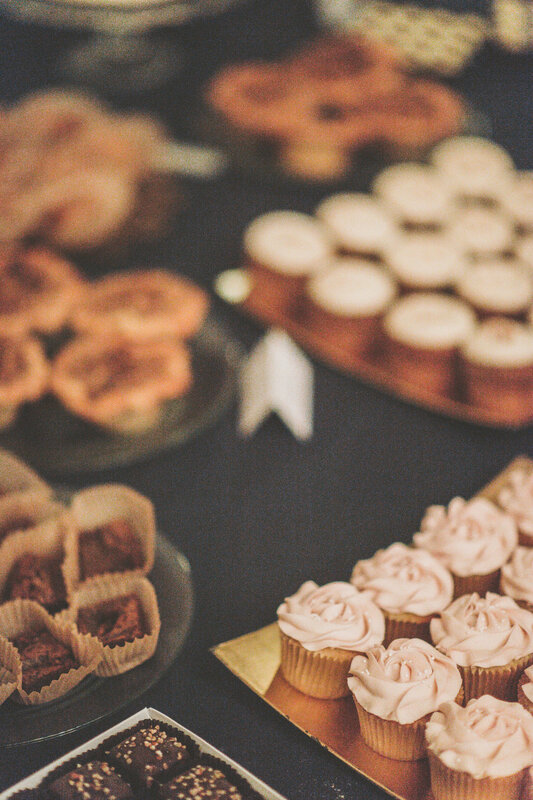 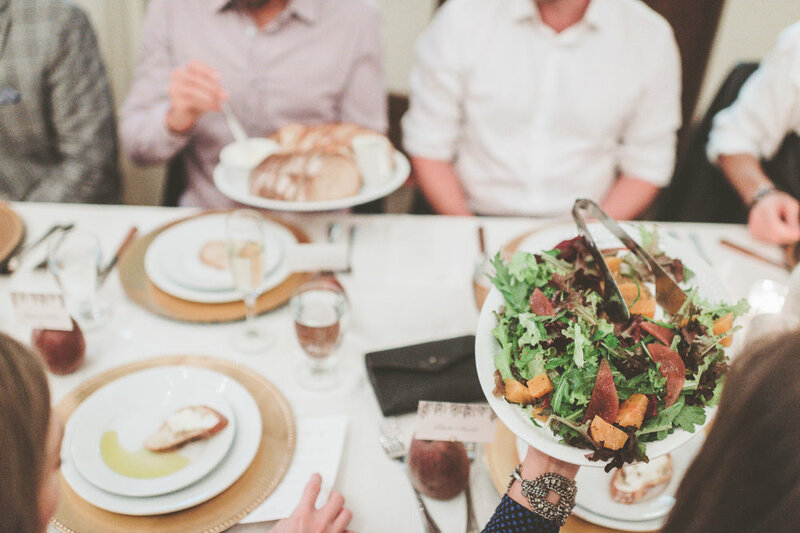 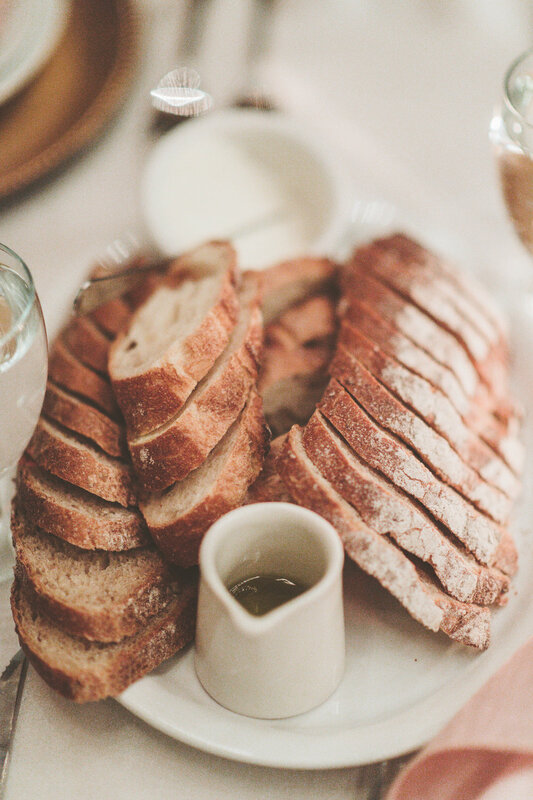 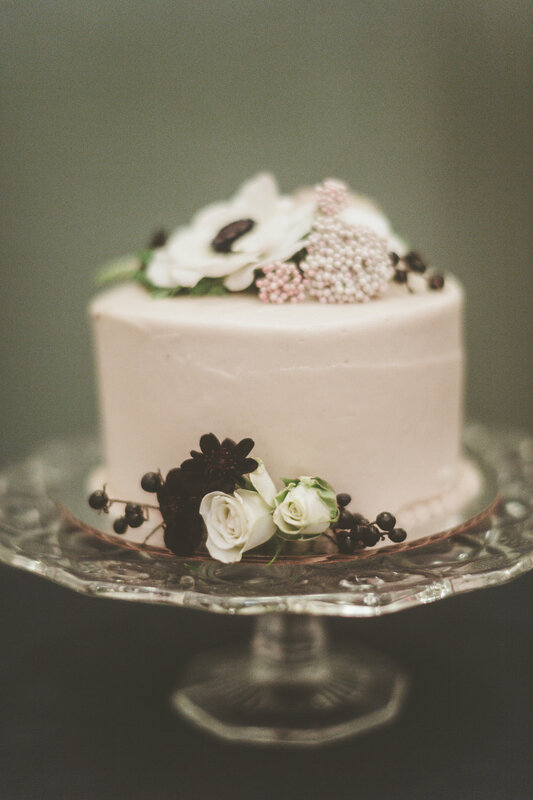 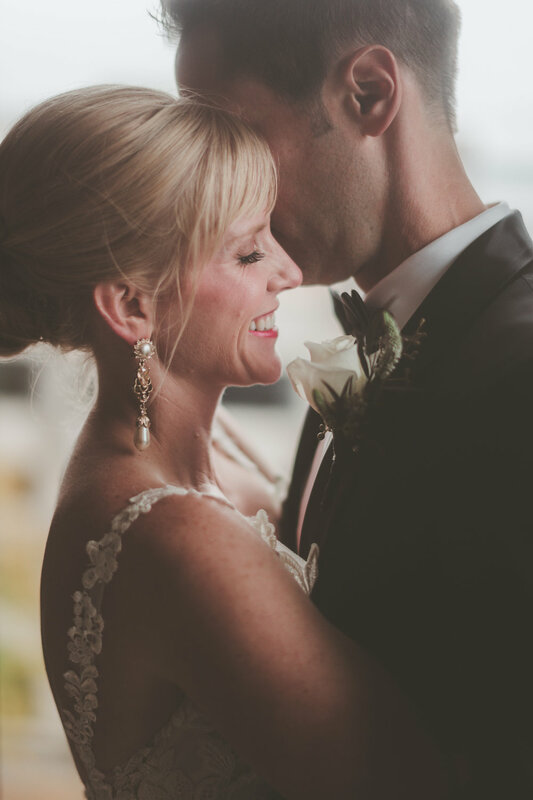 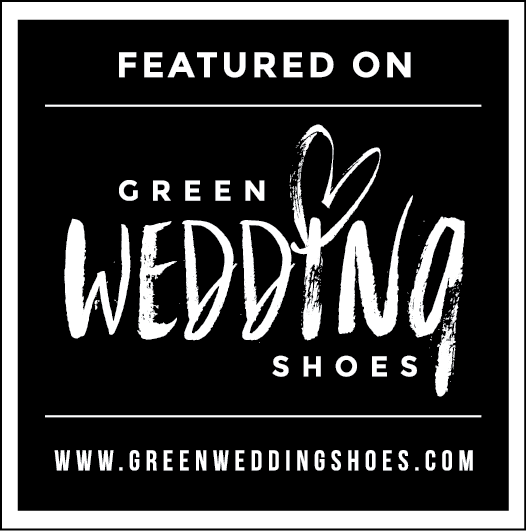 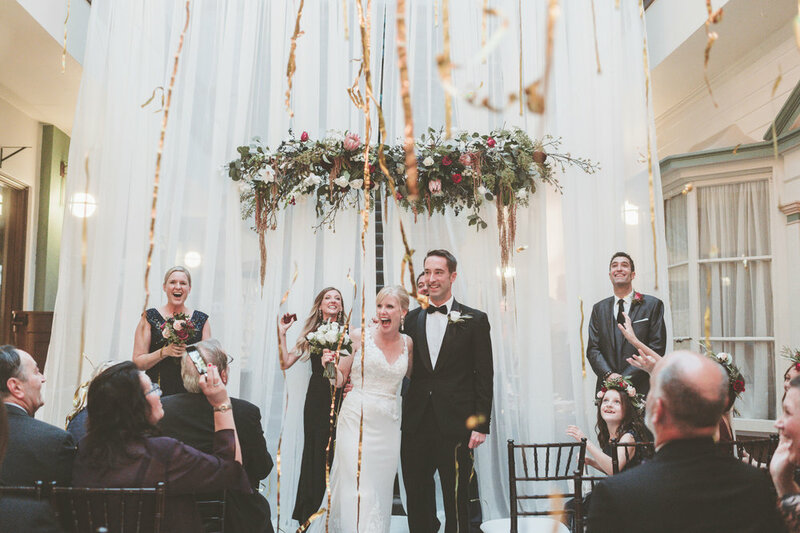 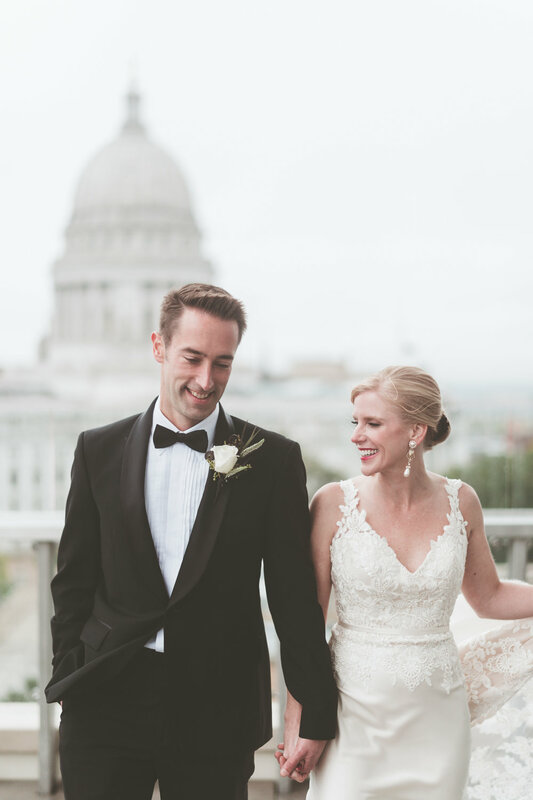 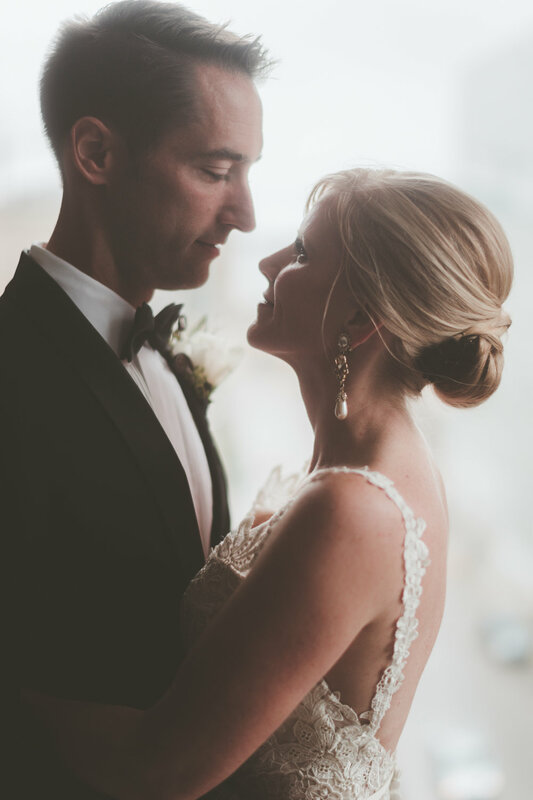 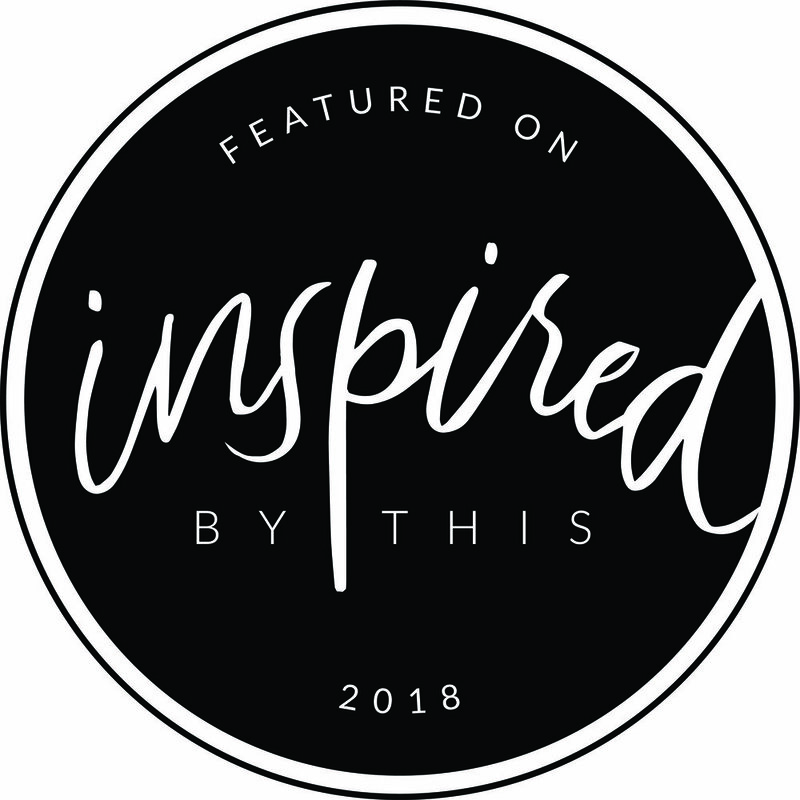 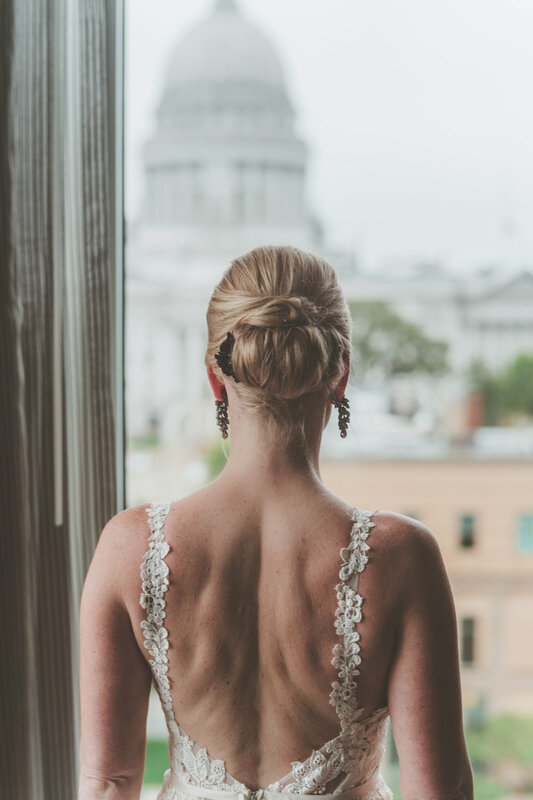 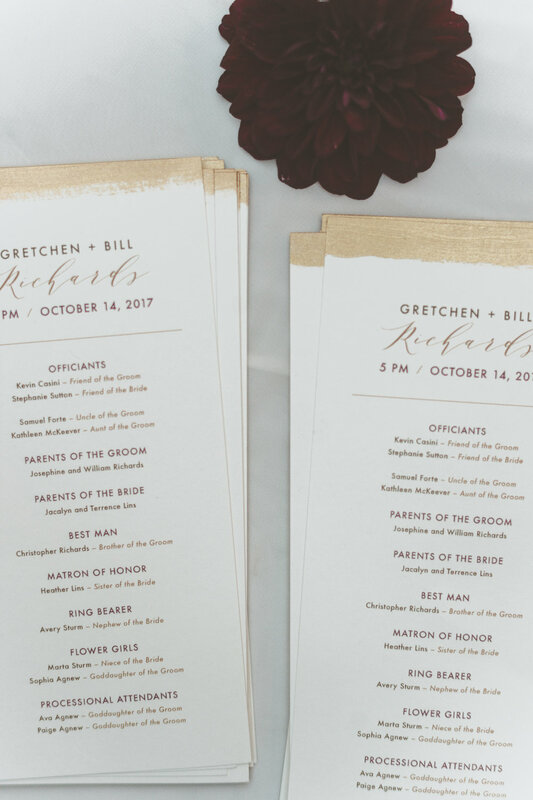 When Gretchen came to us only six or so months before her wedding day, with a crazy idea to turn a very nontraditional space in downtown Madison into a wedding “venue,” we were thrilled, and totally up for the challenge! 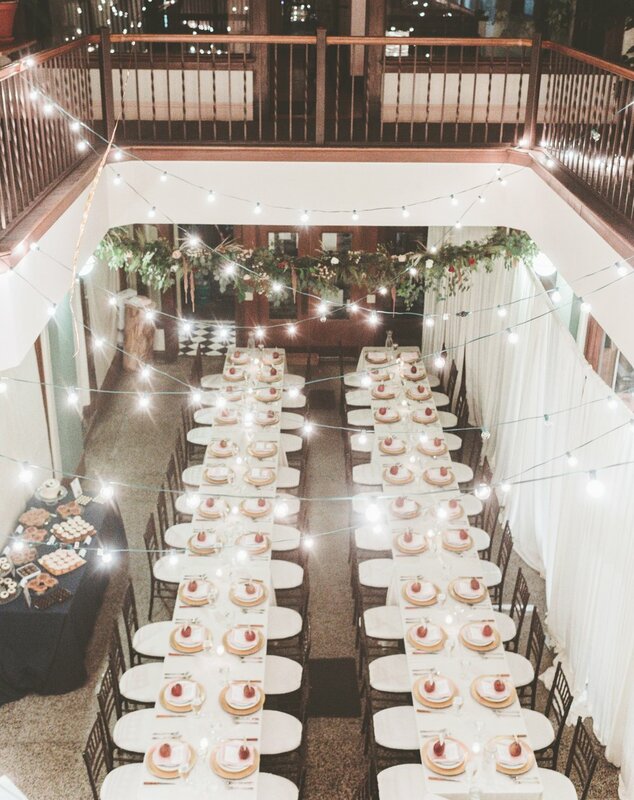 Transforming this cozy space certainly wasn’t a walk in the park, but with a little ingenuity and LOTS of creativity, we were able to transform a long, narrow “atrium” space into the intimate and cozy venue Gretchen had envisioned the minute she stepped foot inside. 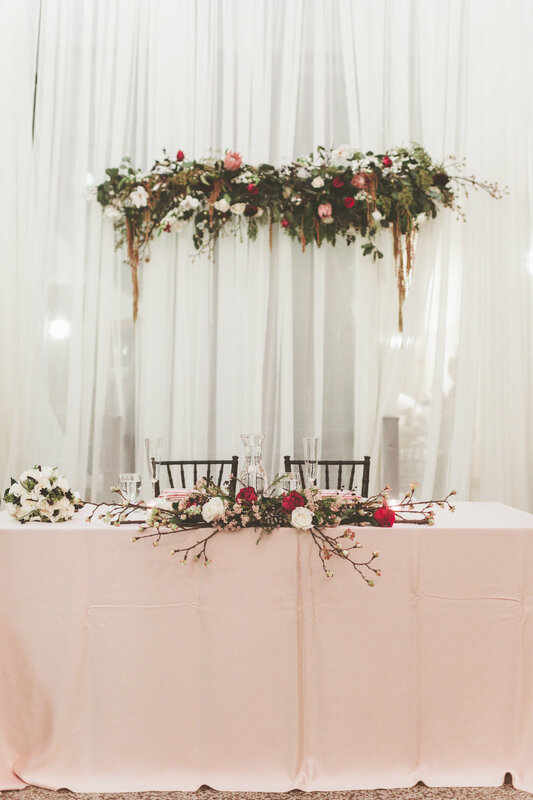 String lights, epic amounts of draping, and beautiful floral installations were hung to define the space. 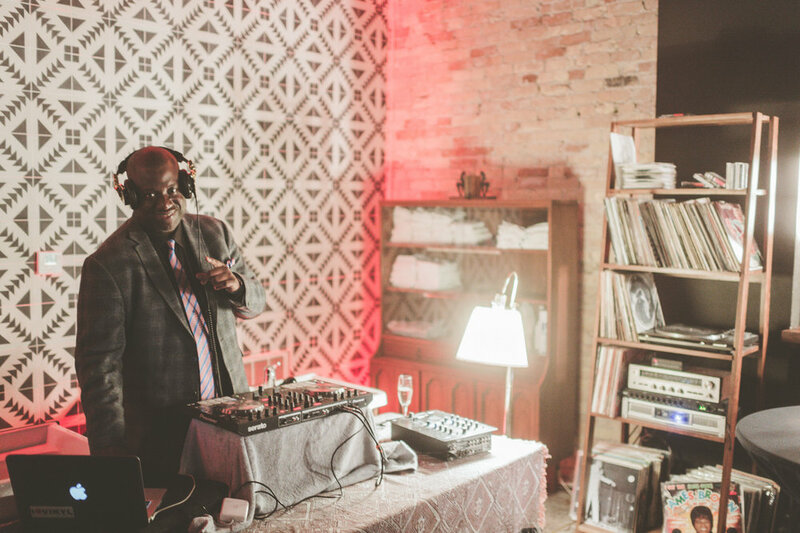 A neighboring hair salon was flipped into a bar and dance floor area. 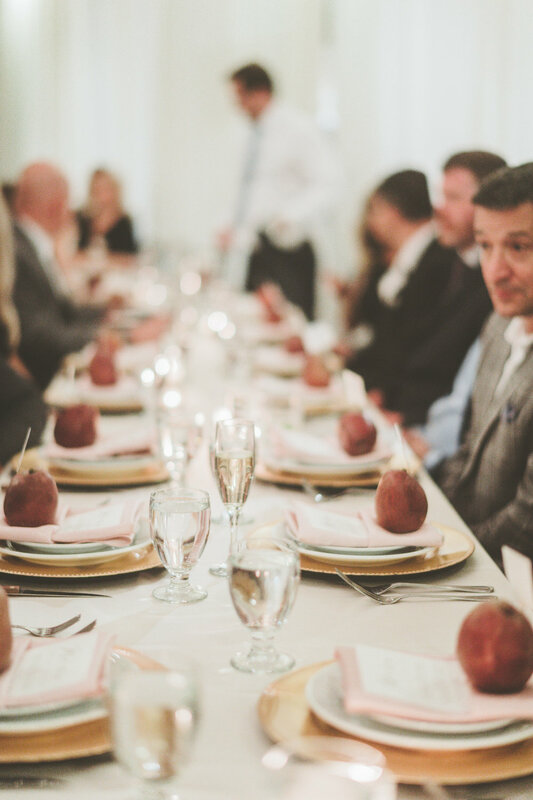 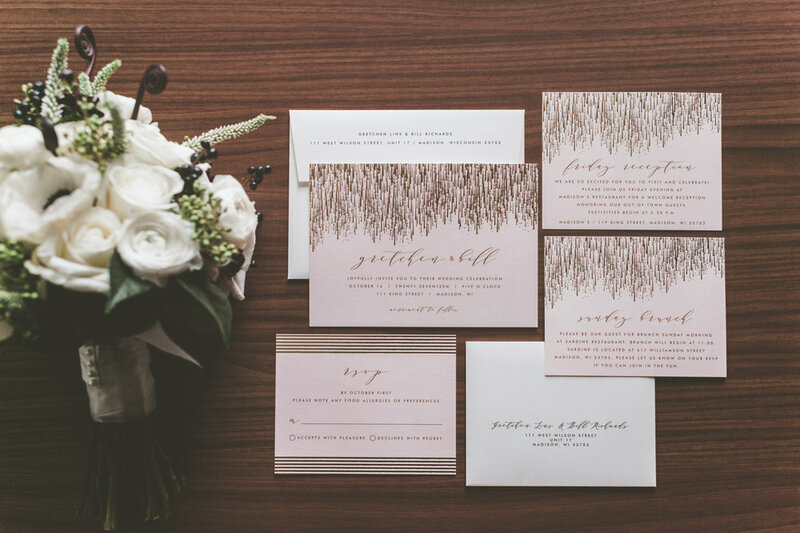 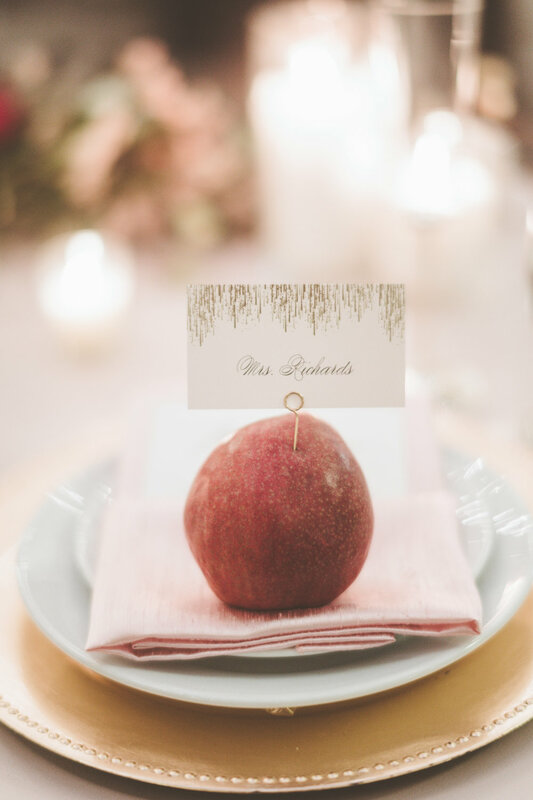 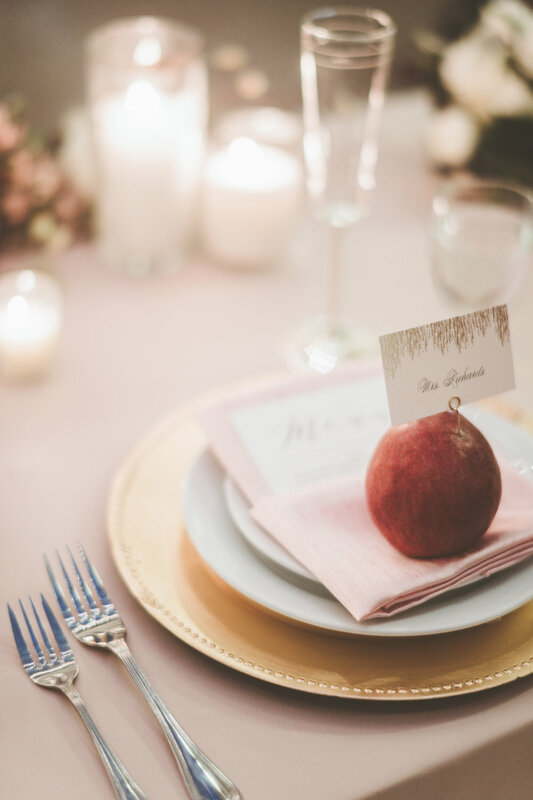 Gorgeous pears and well-chosen rentals were brought in to accentuate the colors of fall. 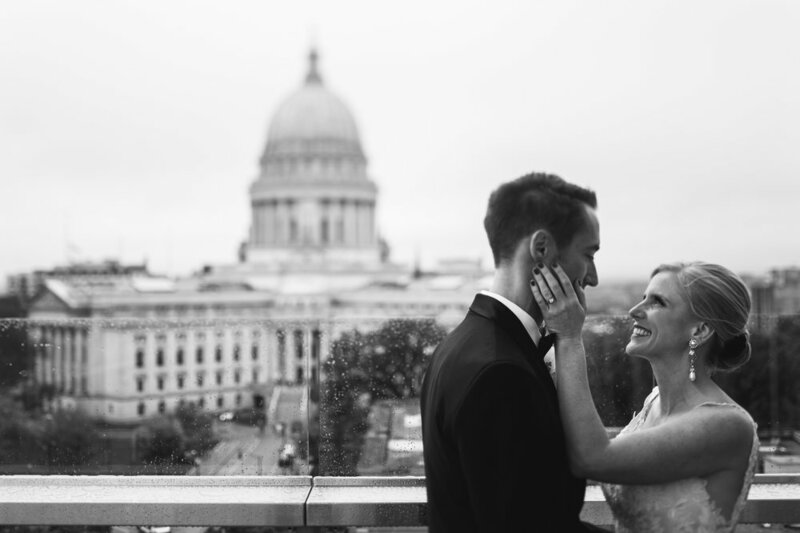 And boy, was a hell of a good time had by all. 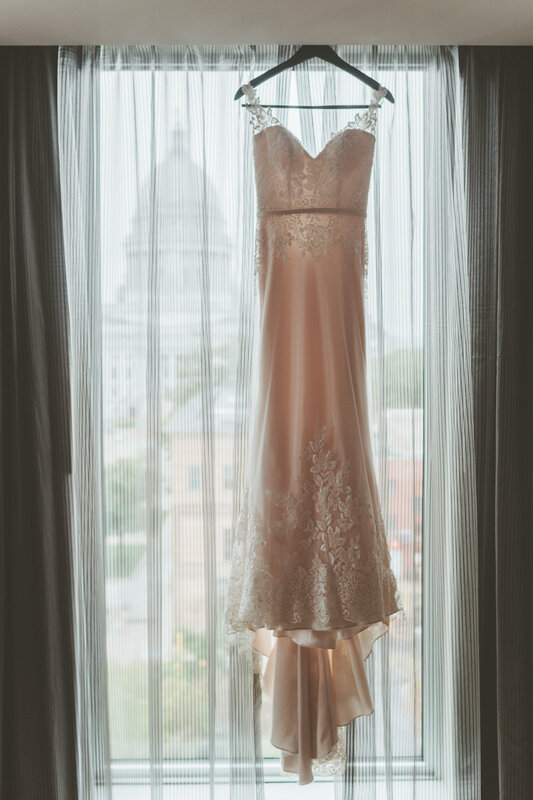 Please enjoy these select images from Gretchen and Bill’s beautiful and totally UNIQUE wedding day!